Send Impressive 50 Roses Basket to Chennai. Gifts to Chennai. Send Flowers to Chennai. 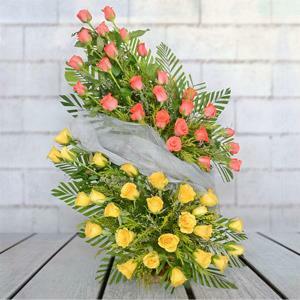 Description : This 50 roses basket of 22 Inches can be a wonderful Gifts to Chennai for your loved ones. Hence send this roses basket and win your loved ones heart in Chennai. You can also browse through Gift2Chennai.com to check other gifts arranged in this portal which you can pair and send across your loved ones. This flower basket as gift will just be loved by all.